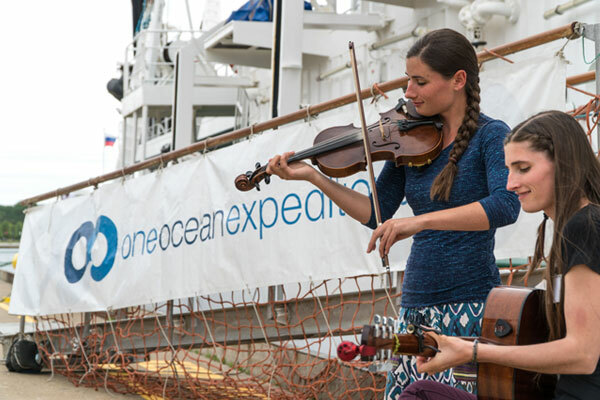 One Ocean Expeditions (OOE) is giving its passengers a chance to explore Canada’s East Coast aboard its 2019 voyages to the Maritimes and Newfoundland and Labrador. Passengers on the “Fins and Fiddles” voyage, designated by Destination Canada as a Canadian Signature Experience, will travel to the epicentre of Canadian culture, while golfers and non-golfers alike travelling on the novel “Fiddles and Sticks” voyage will visit and play the nation’s best golf courses amongst many other active adventures such as cycling, stand up paddle boarding, sea kayaking, hiking and guided nature walks. The “Labrador and Torngat Mountains Explorer voyage also promises to deliver exceptional cultural and educational experiences with a deeper look at Canada’s complex history including visits to small Inuit communities and the National Historic Site of L’Anse aux Meadows. Popular Nova Scotia musical group, the Barra MacNeils will be joining the “Fins and Fiddles” voyage July 10 to July 20 as OOE hosts what will be a high-energy ‘kitchen party’ at sea. Andrew Prossin, OOE’s managing director, also hails from Cape Breton, and with the company having home ports in both Sydney and Louisbourg, felt it was a natural fit to add the family group as a cultural touch to the voyage. On the “Labrador and Torngat Mountains Explorer” expedition July 20 to July 30, guests will thrill at the opportunity to travel alongside Wade Davis, renowned social anthropologist, best-selling author, filmmaker, lecturer, National Geographic Explorer and Fellow of the Royal Canadian Geographical Society (RCGS) and excellent story teller. Playing a key role on this Royal Canadian Geographical Society (RCGS) Compass Rose departure, Davis will be sharing his knowledge. These exclusive voyages reflect speciality departures with dedicated RCGS programming featured on board. For more, cruise on over to https://www.oneoceanexpeditions.com/canadas-east-coast .